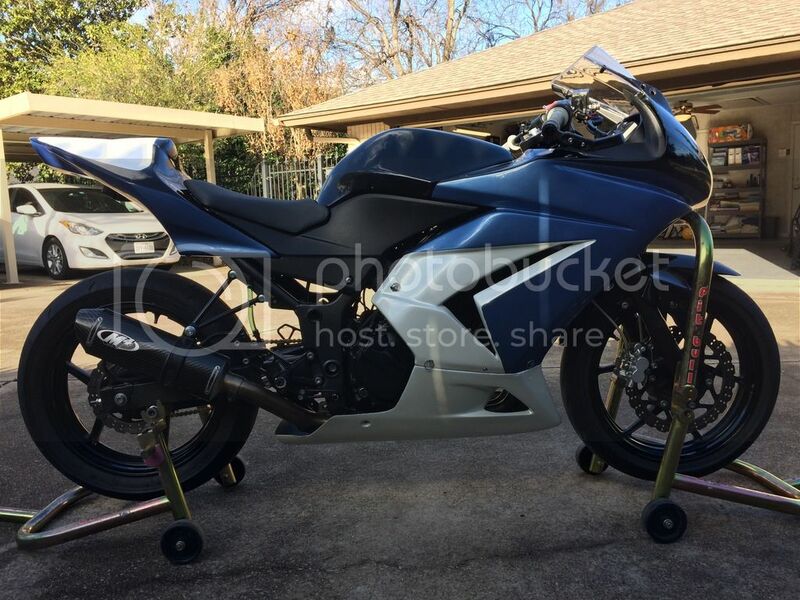 For sale is a 2008 Kawasaki Ninja 250R with a 2010 engine. It has K-Tech 20IDS fork cartridges with preload, compression and rebound adjustments, and a JRI rear shock with remote reservoir, preload, compression, rebound and ride height adjustment. 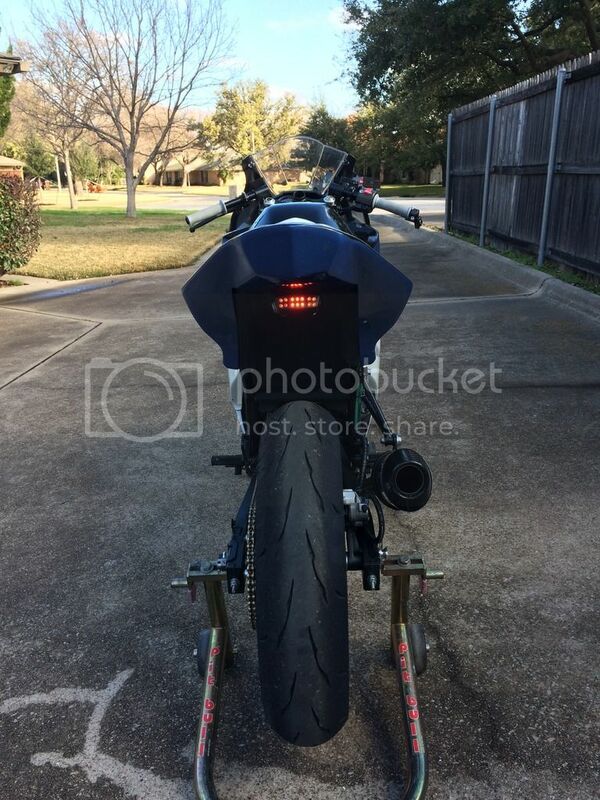 The bike is set up with keyless ignition, keyless gas cap, and a 415 chain set-up with extra front and rear sprockets. It has a full M4 exhaust with a carbon canister, and has a DynoJet kit with a K&N duplex filter installed. It has a braided front brake line with new pads installed. 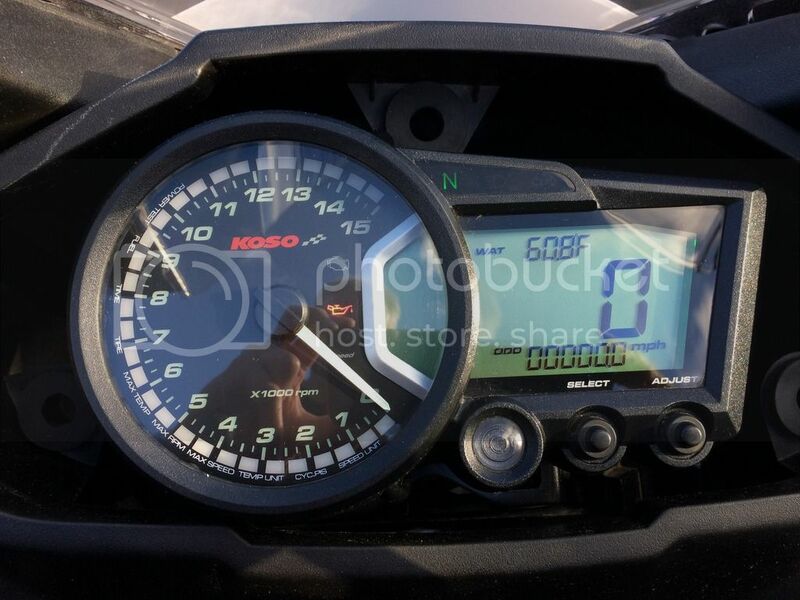 The bike has a KOSO RX2 Plug and Play gauge kit with digital water temperature readout, fuel level and adjustable tachometer, with additional leads and sensors for oil temp, wheel speed, cylinder head temp and more. 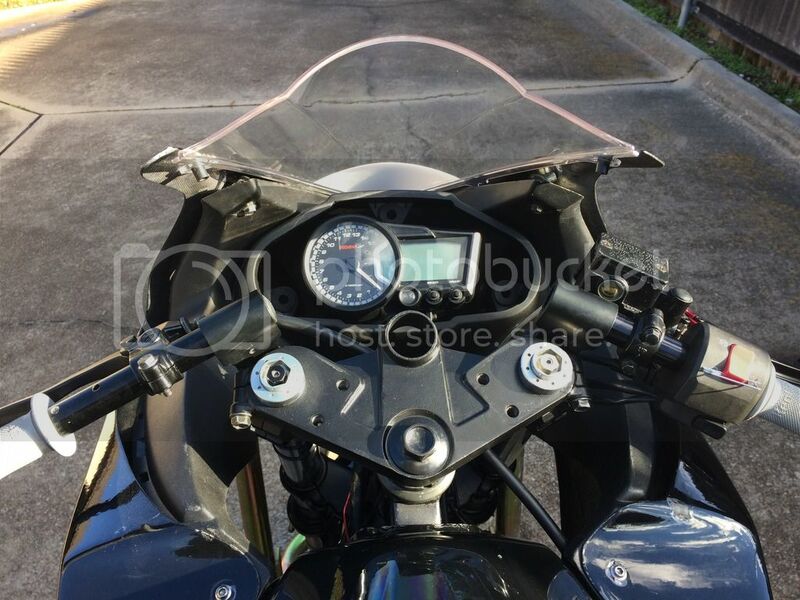 The bike has Woodcraft clip-ons and handlebars, rear sets, and front brake guard, and adjustable front brake lever. The rear brake reservoir has been removed and replaced with HRC tubing. It has a rechargeable LED rain light installed. New windscreen. 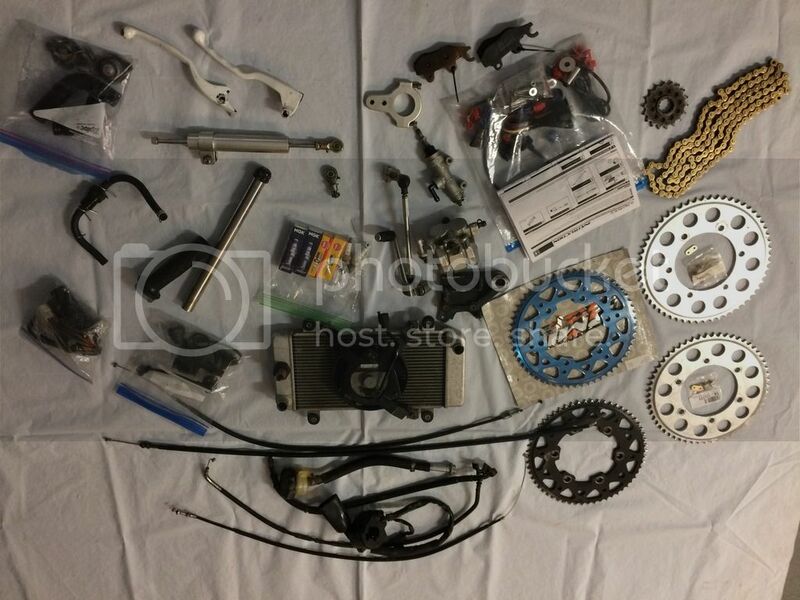 The bike comes with front and rear Pit Bull stands, and the spares include a radiator, cables, brake pads, 415 chain, brake and clutch levers, shifter, spark plugs and more. The steering damper can be re-mounted, or you can opt for an above-the-triple-clamp style. It has a clean blue Texas title. This bike has been gone through from front to back and is ready to go for the season. All it needs is your race numbers and sponsor stickers on it! Call, email, text or PM me. Your bikes are always so incredibly clean!!! I love the ongoing attention to detail. GLWS! Thanks Tony. 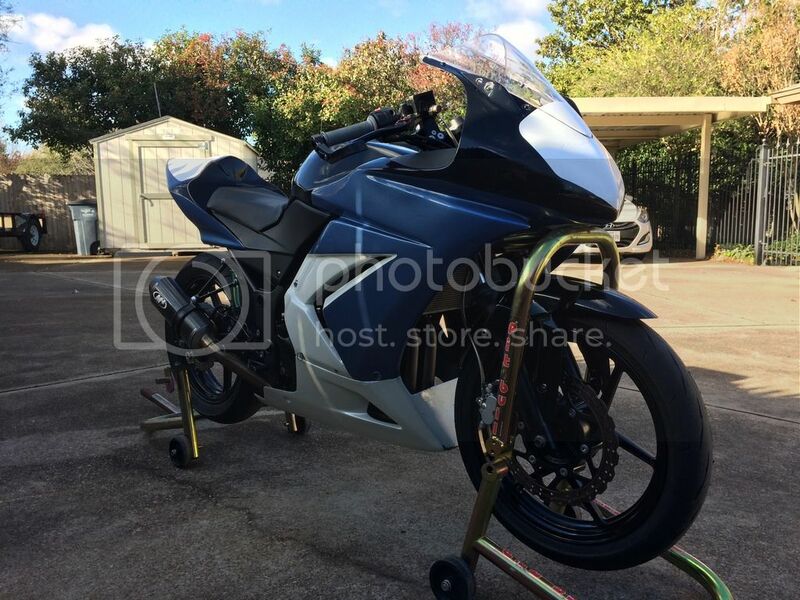 This bike has all the right bits for someone to go for the CMRA Ultra Lightweight World Championship! 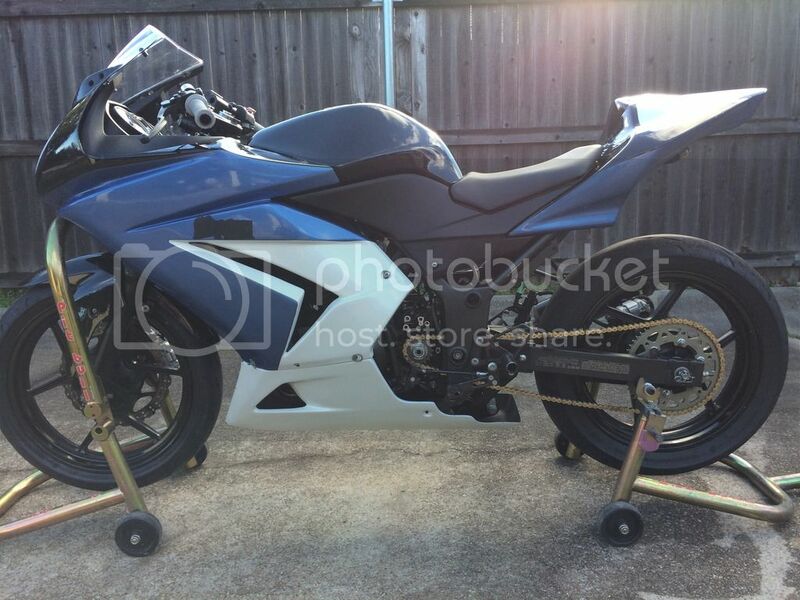 The second one has RaceTech forks, a GSX-R shock, an eBay pipe and Vortex stuff. I should have it done by MSR Houston. Anyone interested can contact me at above info . . .